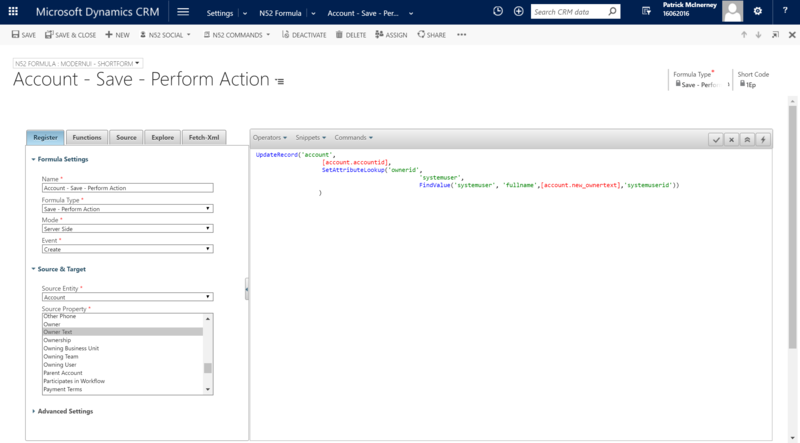 The business requirement here is that we have a 3rd party integration creating Account records within Dynamics CRM. 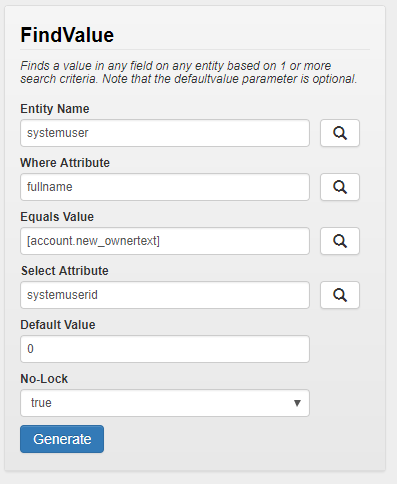 This integration cannot set the ownerid field of the record but it can set a text field with the name of the owner. So we need to use this information to lookup the User ID value & set it to the owner of the Account record. The following set of steps will set this formula up for you. Please see below the wizard you can use to create the ClientSideDate() function call used in this formula. Note to find the value for Equals Value, you will need to go to the Source tab and find the field.